Studios take note: The fans are getting a legion of their own. Fan engagement can often make or break films and franchises and for big studios, the concept has always been hit or miss. But a new day is dawning, suggesting that maybe there can be more cohesion between the process and the product: BYOF (bring your own film). Legion M founders Paul Scanlan and Jeff Annison wanted to “create the world’s first fan-owned entertainment company,” says Scanlan. 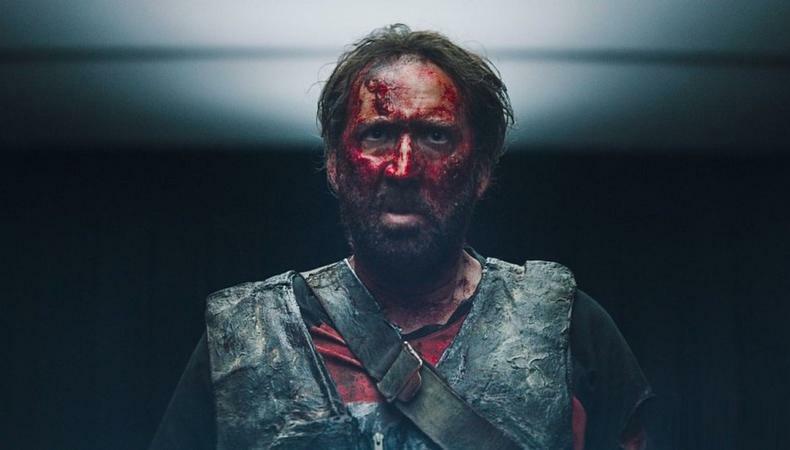 Since its inception in 2016, the fan-owned entertainment company has been steadily gaining speed, and Legion M’s fourth film, “Mandy,” starring Nicolas Cage, hits theaters Sept. 14. Between premieres, conventions, film festivals, and other special events, the company has found its niche based in a new type of crowdfunding that empowers fans to take part in creating films they want to see. Utilizing the JOBS Act, Legion M operates along the same basic premise as Kickstarter or GoFundMe. Fans can contribute to projects they are interested in but unlike the aforementioned crowdfunders, the contribution actually gives them a share in the company. “For us, it’s more than just raising capital [for the films],” says Scanlan, who serves as CEO. “It’s creating and engaging a vibrant community that can guide us and also support us.” While the big studios may be hesitant to take risks on smaller films that don’t have a fan base, films that get the support of Legion M will already have built-in fans from its community. Another Legion M project that enables fans to have a voice in the content is the Pitch Elevator series that’s currently in development. “It started out as a way for us to what we call ‘open the gates to Hollywood,’ ” Scanlan says. “Our feeling is that anyone can have a great idea for a movie or a TV show, but very few people actually have access to get it heard by the right people to make a difference.” To change that, they created a startlingly realistic prop elevator and took it to a comic book convention where they let fans of any age come in and record a two-minute pitch in the elevator, which was wired for sound and video. The Legion M members then rated the pitches in a gamification platform, which helped to narrow it down to the top 30, which were then presented to a panel of executives who selected one for development. “Our goal is to take it on the road like Nerdist or Syfy and make it into, like, an ‘American Idol’ for series pitches. We see the company, really, as a community first and a company secondarily,” Scanlan says. So connecting members is important. They are currently working on developing a database called Pulse. Members will be able to opt into Pulse, which will allow them to list their professions and make it easier for them to connect with other members on personal projects with smaller budgets. “I think there’s a good portion of the community that’s either already an actor, wanting to be there, or they work in the industry in some other way,” Scanlan says. They even cast several actors from their membership for the gamification of Pitch Elevator.